Make the night everlasting and unforgettable carrying the Salvatore Ferragamo® Thalia. Fold-over flap with slip closure. Single Gancio accent at front. Lined interior feature back-wall slip pocket. 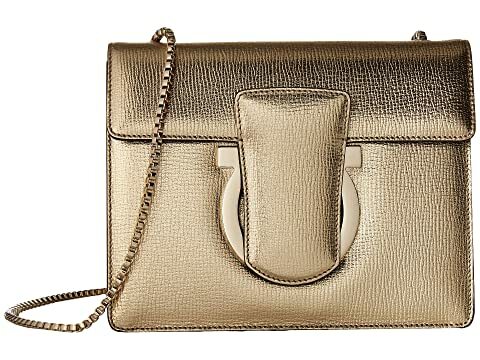 We can't currently find any similar items for the Thalia Leather Shoulder Bag by Salvatore Ferragamo. Sorry!